Both hosts use 1 cr123 battery. The Rayfoss host is nicer in my opinion. It just feels very high quality and looks better than the mini-RPL. 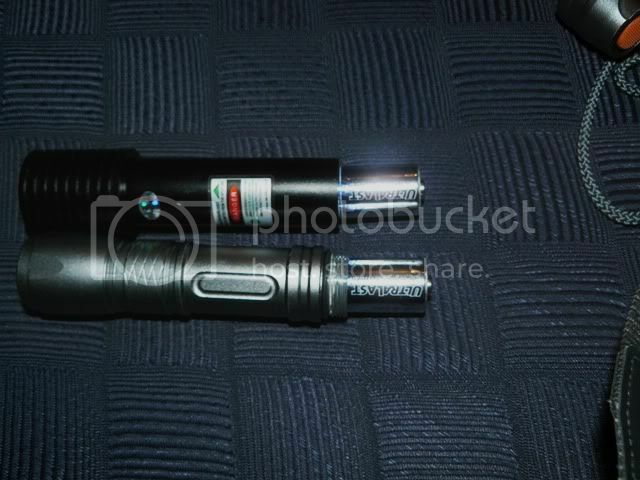 For these subjective tests the same batteries were used in each laser. Both seem to be the same power. Even though the Mini-RPl is outputting about 100mw and the rayfoss is supposed to be in the 135-150mw region. 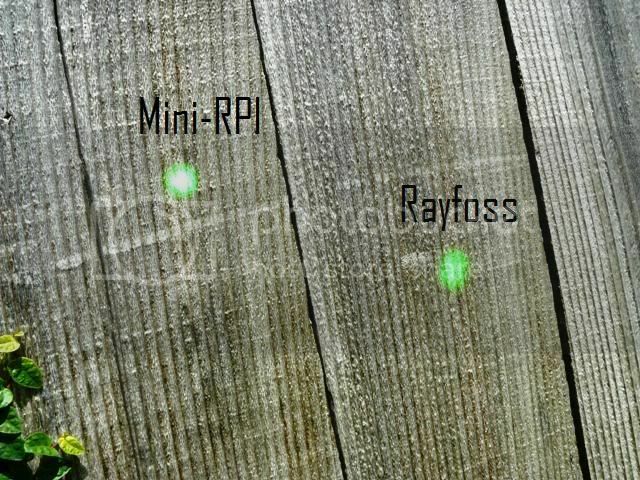 The divergence on the Mini-RPL is much better than the rayfoss laser. At a greater distance there is a much more pronounced differnce. Ive tried to adjust the focal point on the rayfoss but the lens seems to be stuck in place. Service from Rayfoss was excellent, Faona is very responsive and it took about a week for the laser to arrive here. Also BrewCity Music is a great guy to deal with, he shipped via USPS priority mail and threw in some free defraction gratings. Based on my comparisons vs the confirmed 100mw mini-RPL, my <150mw Rayfoss laser is not up to spec. It is just as bright as the mini-RPl and it has worse divergence. 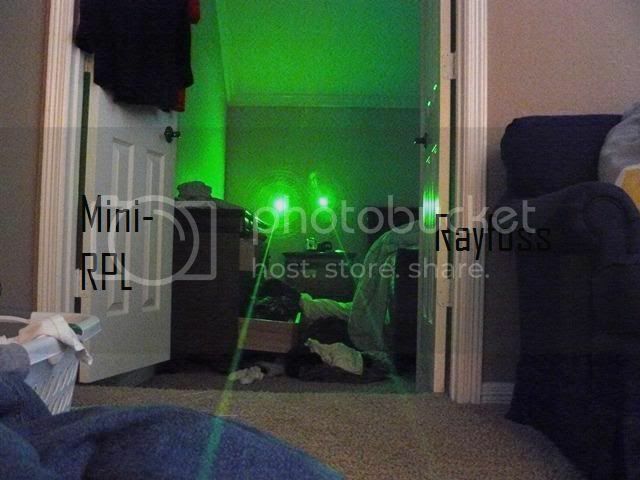 I might of received a bad unit, seeing how everyone else is giving their Rayfoss lasers great reviews. I am in no way, not recommending going to Rayfoss for good lasers, but i just wish mine had a little better divergence and a little more power. where can we buy the mini rpl? 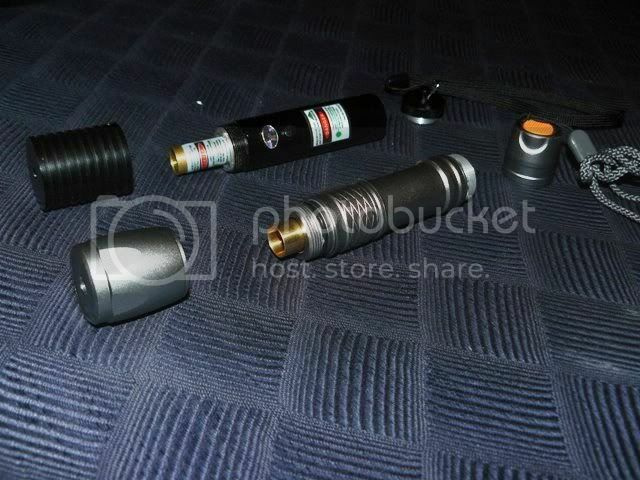 all mini rpl sold at dealextreme.. focalprice.. qualitychinagoods... ARE THE SAME?same quality? I got mine from BrewCity Music... It has a 100mw sxd module in it. Not the same module as if you get it from one of those sites you listed. 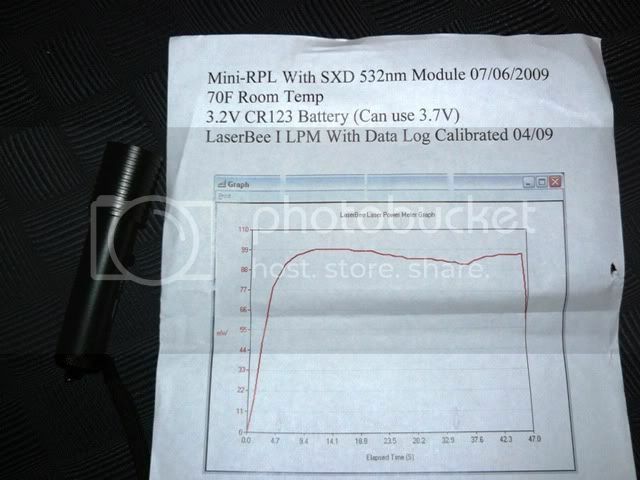 The best bet if you like the host is to buy the cheapest mini-RPL you can (currently the 50mW version at SZWholesale for $19 in quantity) and put in a decent SXD/O-like/Rayfoss module, THEN you have a really solid, well-heatsinked laser with a quality beam and accurate specs! Another great host is the KD-50 from Kaidomain, again, the laser modules they install are pretty much underspec crap as a rule, but the hosts are great for a quality green module build! 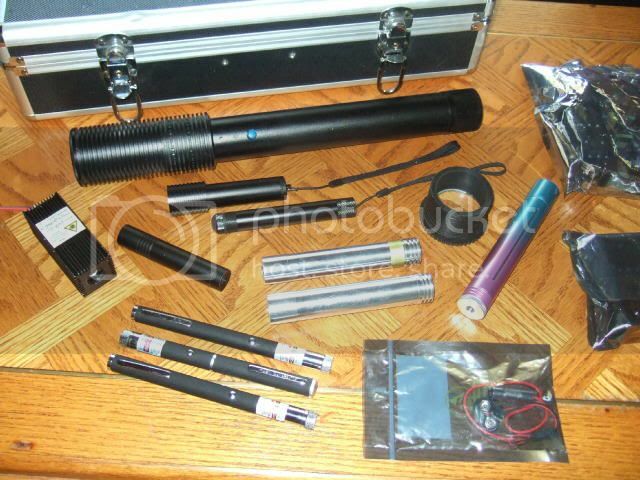 Glad you like the laser, Jeff - these SXD modules have really nice beams, hey?!? O ya, it is definitely a high quality module! Where can I get SXD modules? Sorta like if Opto hadn't coined the name "RPL" we'd probably call them a "Mini Hercules"
thats gotto slow things down a bit. I must say BCM that the KD 50s are somewhat of a great deal... just depends on the luck of the draw. How many do you get at a time?. I noticed that if you buy one here and there they come out better than a whole sale lot. Are you talkin the KD50's as in the third black laser below my Herc in the pic above? 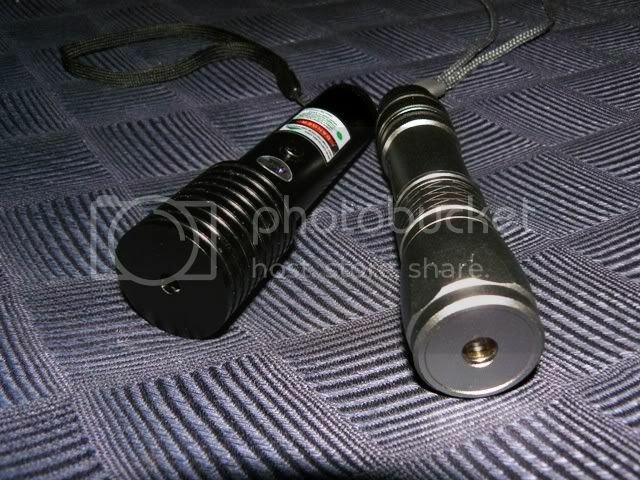 I used to get those through SZWholesale, they weren't anything special (although usually somewhere around 50mW give or take) - they were $18 plus change in the 50mW version in 12lots (but they have since raised the price by $2 so they're probably $20 in quantity now) - I mainly bought them to resell cheaply at our shows but ended up using them as hosts until I found the Mini-RPL's (L-ZX-B02). And good point on the lens, BTW - even if it's low-loss optical glass, coated, etc you're still talking a loss of 10% or so, putting the 150mW down to 135mW-ish, not to mention if it's just plastic and not treated you would be talking losses potentially of 20% or more. Your right the waterproof lens does lower the output and also adds a little more scatter to the beam. good thing you can remove it if you want. that's a really good point, have you tried to compare them without this lens?